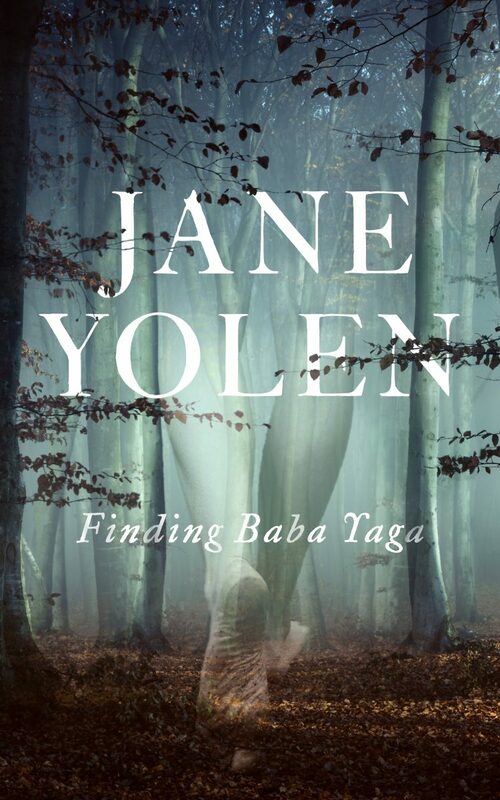 We're talking about Jane Yolen's long-anticipated book in verse, Finding Baba Yaga. 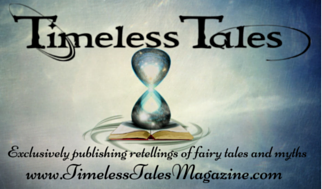 The Mary Sue got the exclusive cover reveal and interview so we're pointing the way, in case you missed the announcement. 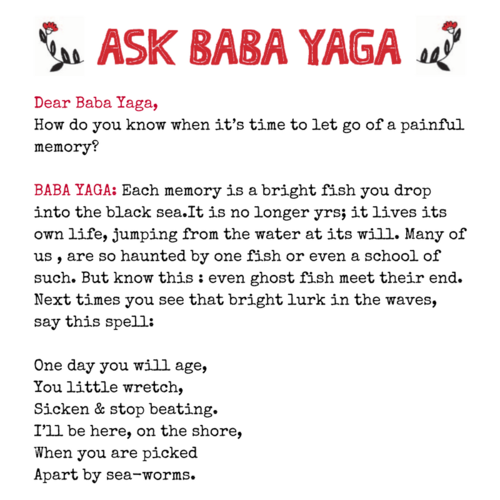 PS: In July 2013, I discovered the very strange website http://fairytalenewsblog.blogspot.co.uk which has an ongoing set of weekly posts by Baba Yaga as a Lonely Hearts columnist. The site is written by someone known anonymously as InkGypsy, reputed to be a Russian poet who grew up in the UK.Whoever she is, she’s hilarious and provocative. These poems would not exist without her posts. While we did post the Ask Baba Yaga columns, weekly as could be managed at the time, Gypsy (aka InkGypsy) did not write them. She only included a personal commentary, added a picture and formatted the posts. The main content, the advice - questions and answers - were, and have always been, the brilliant work of Russian-American writer and poet, aka the "hilarious and provocative" Taisia Kitaiskaia, and Taisia very kindly gave us permission to reblog these brilliant nuggets of advice at Once Upon A Blog in an ongoing manner. Returning to Finding Baba Yaga, we will admit, knowing now that Taisia's columns kick-started Jane Yolen's writing of her newest book - written entirely in verse! - that makes it a guaranteed sell for us! 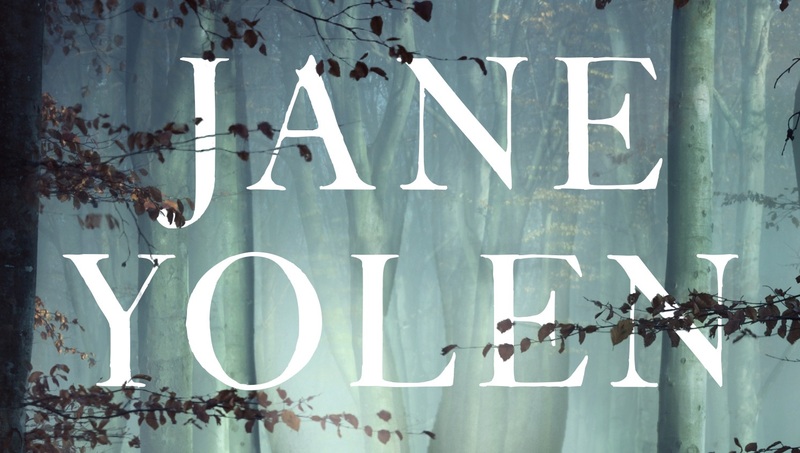 While we wish we could own every copy of Jane Yolen's books, she is so wonderfully prolific we have to sadly admit we haven't quite completed our (ongoing) collection of her works. This one, however, is moving not only to our shopping basket but will be put firmly on top of our must-read pile as soon as it appears. 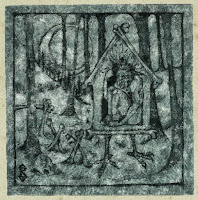 Poetry is something that's not always easy to read but Yolen's verse often changes minds about that. 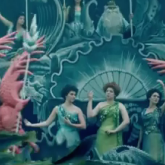 It's just a different pace for her wonderful storytelling. 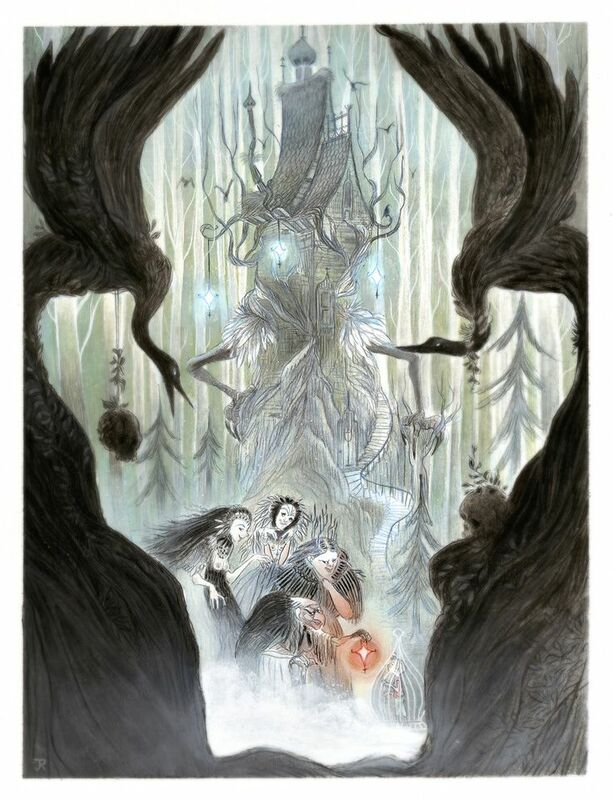 Baba Yaga is my culture hero—the strongest and greatest witch in the world. She makes her own way, is both anarchic and eternal, has transportation that runs on pure energy which has the added value of not destroying the earth, and she always says what she thinks. How could you not admire her? 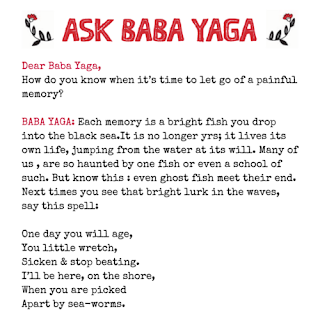 I first learned about Baba Yaga as a ballet kid in the 1940s, one of those New York City girls studying at Balanchine’s school of ballet. Maria Tallchief was my ballerina crush and she once hung her practice tutu on my locker! She was the world’s greatest dancer at the time, and her most iconic role was Firebird. Being a bookish kid, from a Russian Jewish background, I wanted to find out more about Firebird—and there she was, on the pages of some long-forgotten book in my parents’ library, along with the other two famous Russian folklore characters—Koschei the Deathless, and Baba Yaga. 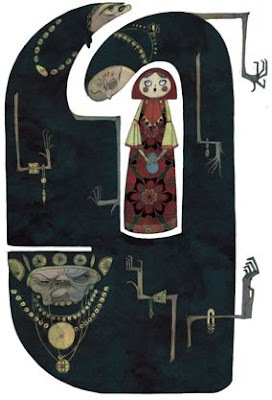 So from the time I was about eight years old, I wanted to be Baba Yaga, gnashing my iron teeth. Riding in a mortar steered by a pestle. Living in a little house that walked about on chicken feet. Well, since I couldn’t, I wrote about her when I got older—in a picture book called “The Flying Witch,” in a short story called “Boris Chernevsky’s Hands,” in a graphic novel called “Curses, Foiled Again,” and in a novel written with Midori Snyder, Except the Queen. Except. . . Midori claimed the Baba as her character before I could do so, so I invented three black witch sisters living in Harlem to make up for my loss. 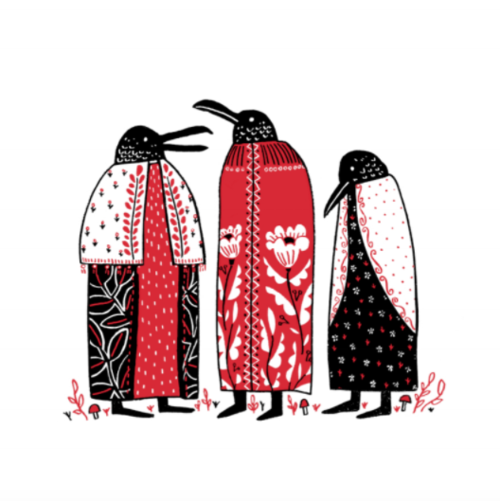 All the while, I was writing poetry about Baba Yaga and one day I realized I had almost enough for a possible collection, but there was a story beating inside me that pulled all the poems together, and insisted on being told. And so my first ever verse novel was born. It took possibly four years in the writing, and four more in the selling, but when my editor at Tor, Susan Chang said: “I don’t actually like poetry and I couldn’t stop reading this mss.” I thought: maybe this will actually become a book some day! And as if I were the Baba herself, my prophecy has come true! And we couldn't be more thrilled! 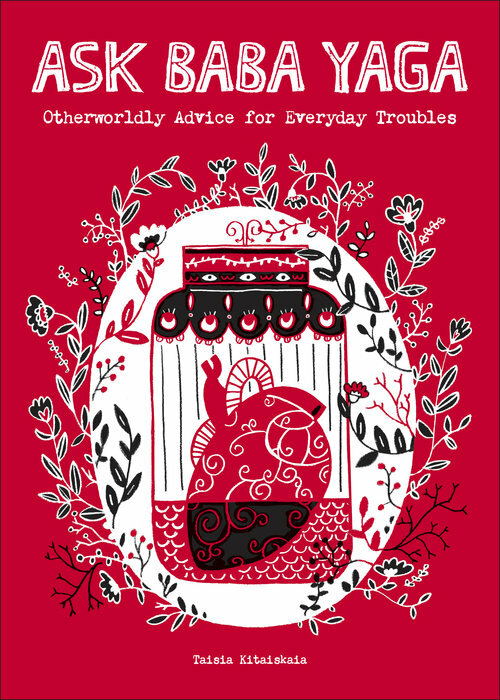 While the sneak peek gives us the introduction and the first verse, introducing the idea of Baba Yaga to the reader, knowing the Lonely Hearts advice column sparked the idea of a teenage runaway finding her way into the realm of our favorite witch, makes us mightily intrigued. You can pre-order Finding Baba Yaga HERE. Happy to help, Gypsy! I think it's important for creators of all stripes to receive credit where credit is due. :) I've followed your blog for many years; keep up the great work!